If you have a foreign bank account that has not been reported to the IRS, then you could be facing serious civil penalties and even criminal penalties. 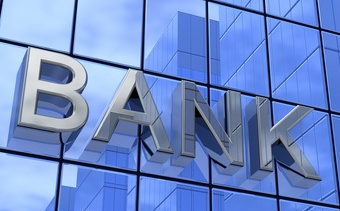 These penalties fall under the Foreign Bank Account Report, FBAR violations. You are now a US citizen or permanent resident or have been in the last six years. You have had a foreign bank account for a year or longer since 2008. You have not reported the account through the FBAR paperwork to the IRS. The civil penalties for not filing the FBAR will be the greater of 50% of your bank account or $100K. The IRS has also indicated that it is willing to charge these penalties cumulatively for up to four or even six years. This means that you can be charged these penalties for each year you have had the foreign bank account and not reported it to the IRS regardless of the fact that the penalties may well out pace the actual dollar amount in your account. In addition to expensive civil penalties, you can also face criminal penalties. If the IRS determines that you willfully knew that you should have filed a FBAR and didn’t, they can charge you under FBAR violation laws as well as normal criminal tax prosecution laws. A criminal prosecution typically occurs when a person has a large amount of taxable income in their foreign bank account that has not been claimed on their tax return. A tax accountant or tax attorney can walk you through your options if you find yourself in this situation, as the IRS does offer voluntary disclosure programs, but even with taking advantage of one of these programs, you will still suffer the sting of IRS penalties. If you are tired of overpaying taxes and would like tax compliance help, call 212-631-0320 and ask for Mark. Mark E. Feinsot CPA is a highly rated New York City CPA Firm helping high net worth individuals and small business owners minimize their taxes while avoiding costly tax battles with the IRS. We provide additional expertise in dental practice accounting, aviation accounting for private jet owners, and law firm accounting. While rules and regulations for workman’s comp insurance change from state-to-state, there some general guidelines you need to know and follow no matter where your business might be located. First, as an employer, you are required to protect employees that are killed on the job, are injured, or become ill. Most employers obtain either state sponsored or private insurance. Others will use self-insurance. Regardless of which option you select, it is the employer who foots the bill. Secondly, workman’s comp is a state based program as opposed to a federal program. Most states require some form of workman’s comp, and as the employer, you are expected to accept the rules and regulations. For those businesses with under four employees, there is an exemption to carrying the coverage, at least in some states. Next, workman’s comp pays four different types of benefits. These are survivor’s benefits, disability benefits, rehabilitation benefits, and medical benefits. The injured employee or their heirs receive a lump sum payment which then relieves the business of any further liability. Also, employees are covered with a few exceptions. These exceptions include business owners, independent contractors, unpaid volunteers and domestic employees in private homes. 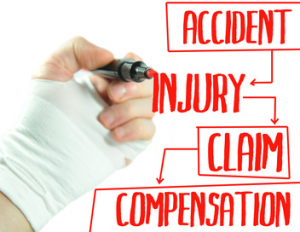 In addition, workers’ comp is paid on the no-fault basis. This means that regardless of who is at fault for the injury, the employee receives the benefits, and the business does not have to admit liability. Finally, even when an employee is outside of the workplace, they may be covered. This can include traveling for business purposes, running work related errands, or attending a required business social event. The state rules and regulations for workman’s comp insurance can be tricky, but they do protect both the employee and employer. When purchasing this insurance, it is always best to work with a professional that can ensure your business’s needs are met.